Choose from among the suite of Hormonology apps that Nylon Magazine dubbed “life-changing” and The Telegraph called “overdue genius”! They’ll show you what to expect from your mood, energy, memory and more during your monthly cycle or what to expect from your partner during hers. 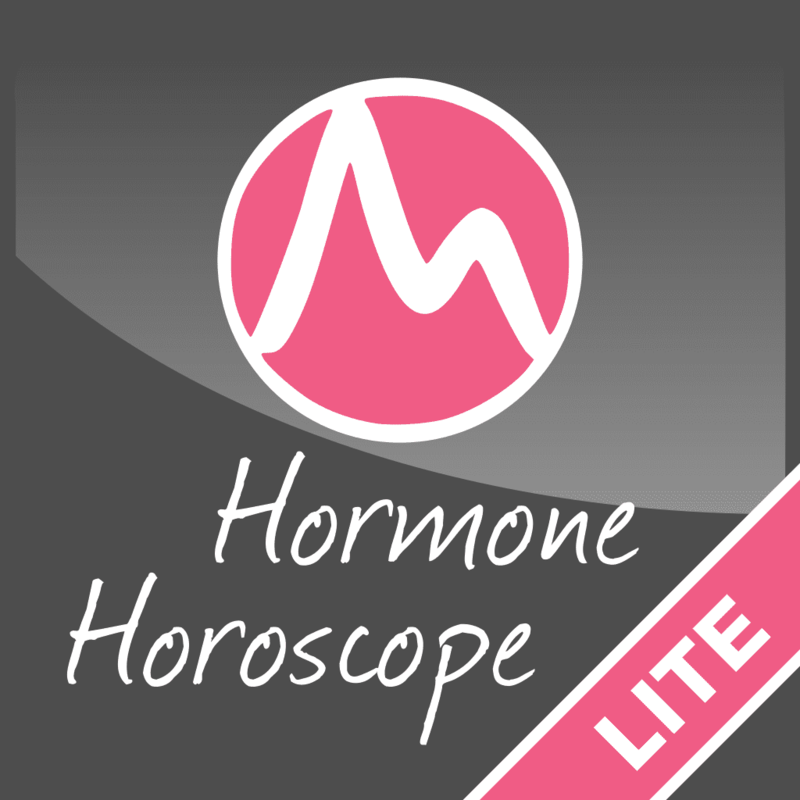 The Hormone Horoscope App “Lite” is the world’s only menstrual cycle tracker app that delivers the daily Hormone Horoscope–a summary of what your mood, energy, romantic life, shopping habits, health and more will be every day based on where you are in your monthly cycle! The “Lite” version of this app tracks your current cycle only. 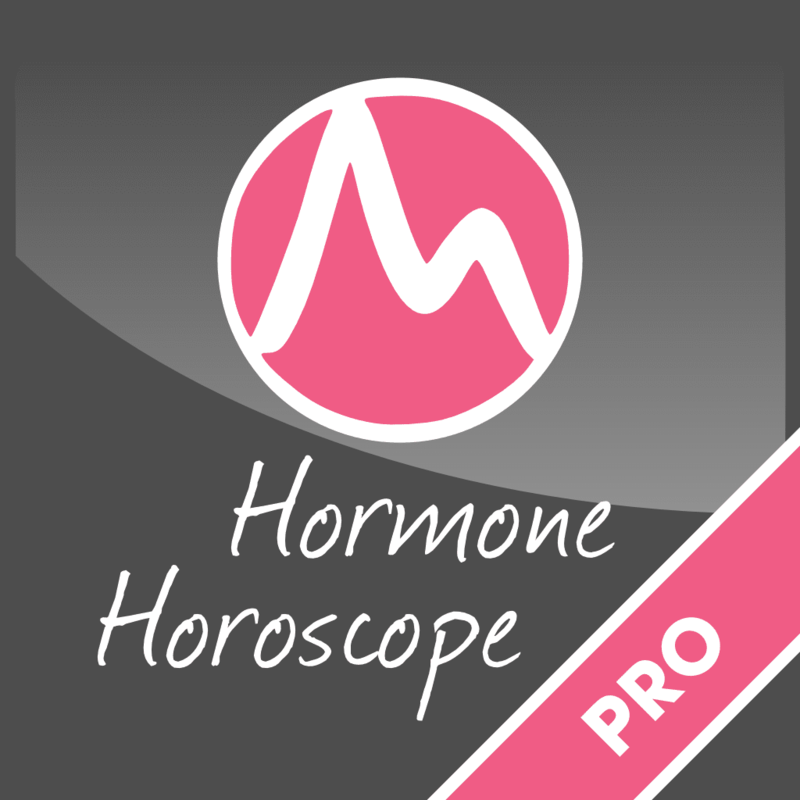 The “Pro” version of the Hormone Horoscope App goes into more detail about how your hormones will be impacting you every day and organizes the information in easy-to-reference categories (such as Mood, Energy, Romance and Money) so you can read the information you want in an instant. It also offers bonus features. The first Hormonology app for men! The Female Forecaster App gives boyfriends and husbands a forecast about what they can expect from their sweetheart’s mood, libido, energy and more every day of the month. No more guessing–no more surprises! Bonus: You can set alerts that give you a heads-up about when her premenstrual week, high-libido days and other key moments in her cycle are arriving. Takes just seconds to set up and is super-easy to use. This is the world’s only menstrual cycle tracker app specifically for girls 12 to 17 that delivers the daily Hormone Horoscope–a summary of what your mood, energy, crushes, shopping habits, health and more will be every day based on where you are in your monthly cycle! The “Lite” version of this app tracks your current cycle only. 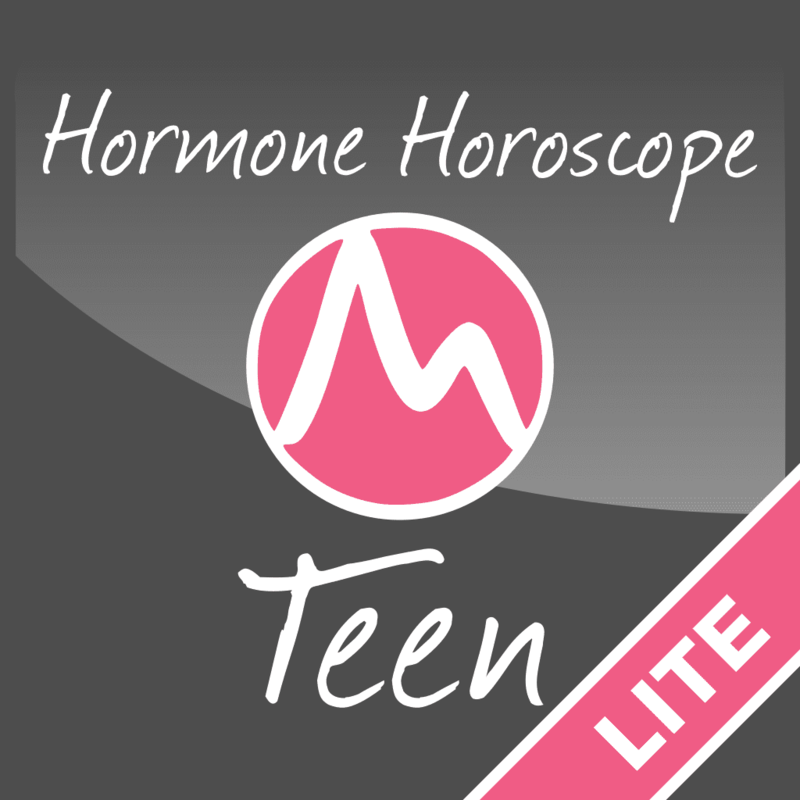 The “Pro” version of the Hormone Horoscope Teen App that’s for girls 12 to 17 goes into more detail about how your hormones will be impacting you every day and organizes the information in easy-to-reference categories (such as Mood, Energy, Romance and Money) so you can read the information you want in an instant. It also offers bonus features, including tracking future cycles, keeping records of past cycles and the option to create custom alerts to remind you of important days in your cycle. This is the first Hormone Horoscope app that started it all! If you enjoy a simple interface and whimsical, feminine design, this version is for you.